Young travellers who stay at The Pink Palace certainly come because they’ve heard about our famous party scene. But when you travel you want to experience a place by getting a taste of the culture. 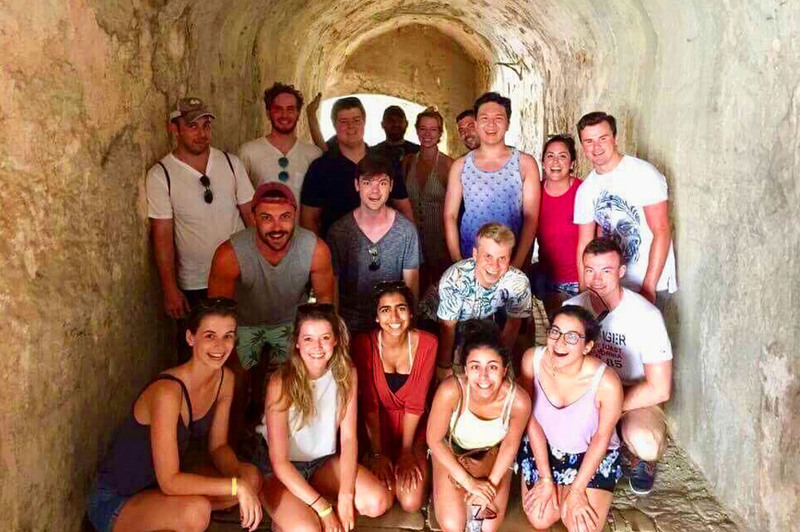 The daily excursions offered at The Pink Palace provide unique opportunities to see the historical and natural gems of Corfu on social tours catered to young adults. 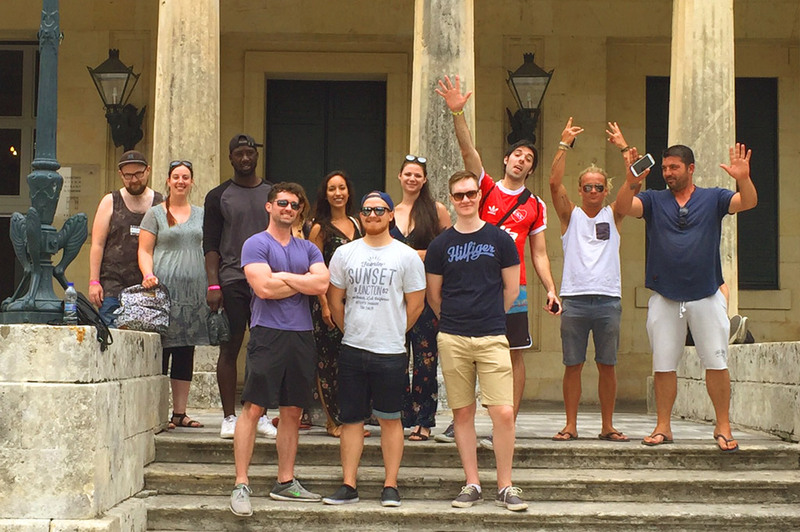 Our Corfu Town Sightseeing Tour is the most entertaining way to see the best places of the island’s little city. Hop aboard The Pink Palace shuttle. Our driver is famous for his one-of-a-kind personality and expressions of nonsense, making every trip a travelling comedy show! At The Pink Palace, our staff are constantly teasing each other. We do our best to make you laugh. After a scenic journey trough the rolling hills of Corfu, our guide grabs the microphone and as we welcome you to Corfu Town. 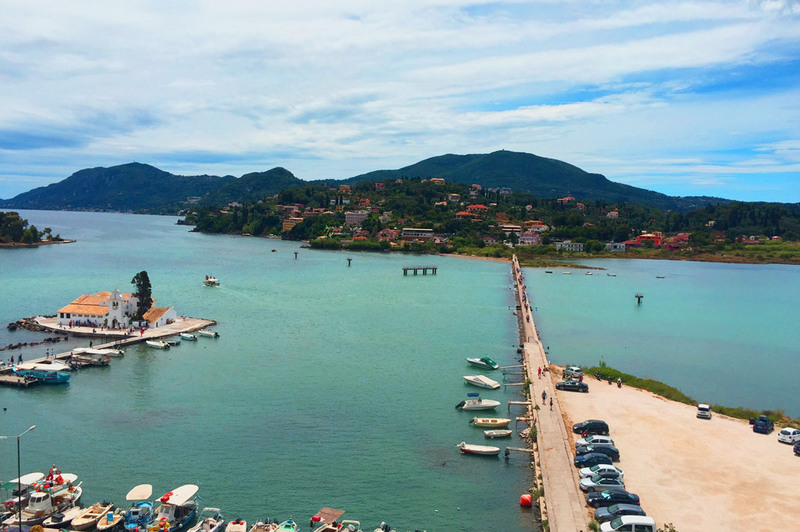 The first stop is a beautiful lookout point at Pontikoniski, overlooking Mouse Island and the Corfu Airport. Here you can pose for some breathtaking group photos and grab a quick drink or frappe at the bar. As you travel along you’ll see some gorgeous yachts out at the Corfu Port. The shuttle drops our group at the Corfu Museum of Asian Art located inside the Palace of St. Michael and St. George. Guests have a chance to enter the museum, or just simply embrace the Greek architecture and proceed to explore the town. Our tour is great because there is no set itinerary. We guide you to the best places around town, yet offer freedom for the group to explore places at their leisure. 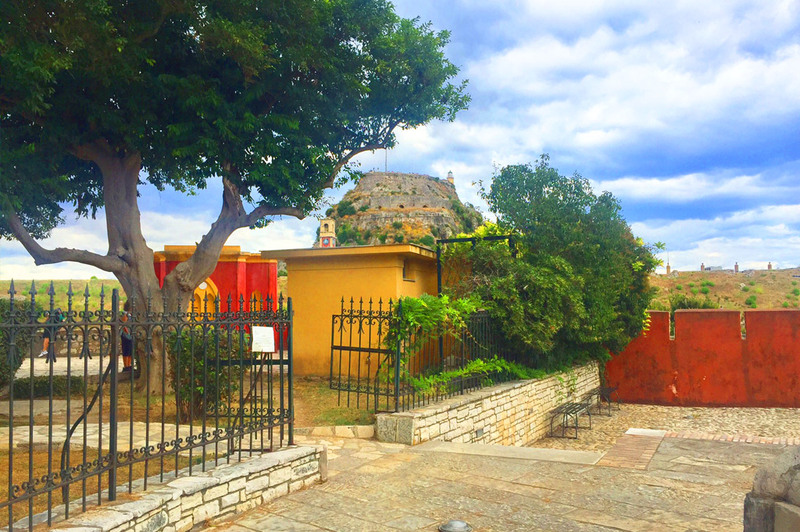 Showing you the oldest parts of the city, our group will see old churches including The Saint Spyridon Greek Orthodox Church, built in the 1580s. If at any time you need more information, just ask! We’re here to entertain, but also give you the historical and cultural facts you want to know! 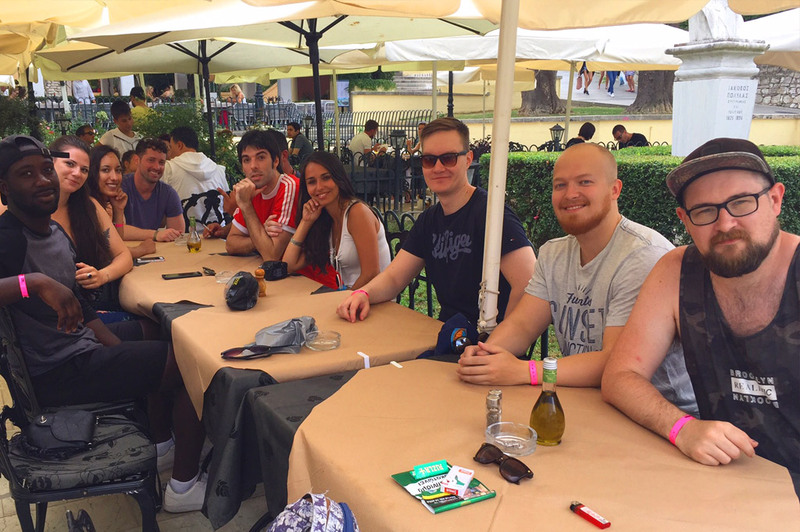 After a wander through the streets with a chance to buy souvenirs and local gifts, the group gathers together for lunch at a local restaurant. The Olive Tree offers delicious authentic Greek food. It’s a great way to get to know your fellow travellers. Ask about their craziest travel story and how the ended up at The Pink Palace! To top off our day of sightseeing, we make sure you see The Old Fortress of Corfu Town- a Venetian Fortress built in the 15th Century. Our Corfu Town tour is great for those who are travel photographers, as there are amazing views, sights, and history to make amazing pictures. And hey, if you’re not a professional, your friends will be very jealous when you post them on your Instagram! Be sure to tag The Pink Palace. Spend your afternoon in the heart of Corfu, with the friends you make at The Pink Palace.